Casey Wallace draws on more than 20 years of public and private litigation practice to provide clients with extensive trial experience and a unique perspective on the interplay between private industry and government. He is licensed to practice in all state and federal courts throughout Texas. Mr. Wallace began his legal career working at the Harris County Attorney’s Office where he personally handled several hundred cases in both state and federal courts. He then served as a Partner with the law firm of Haynes and Boone, LLP, and most recently as a Partner with Johnson, Trent & Taylor, L.L.P. With experience in both public and private practice, Mr. Wallace brings a level of knowledge and experience other lawyers can’t offer. 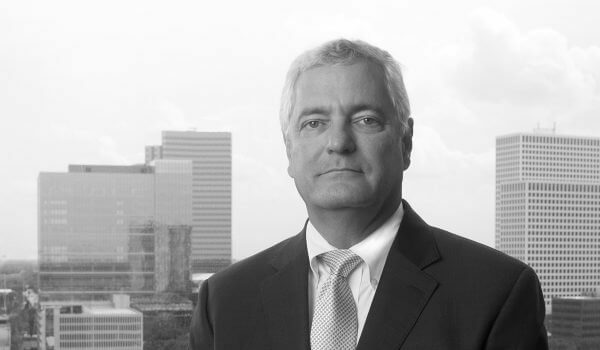 Mr. Wallace has successfully and skillfully represented his clients in a variety high-profile legal matters, including a wrongful death case stemming from alleged abuse in the Harris County Jail, a lawsuit that sought to enjoin Harris County, the state of Texas, and the federal government from reconstructing the Katy Freeway corridor, and an administrative hearing before the Texas Natural Resource Conservation Commission (TNRCC) in which the TNRCC eliminated the 55 mph speed limit rule for the Houston-Galveston Area State Implementation Plan. In addition to these cases, Mr. Wallace also has extensive experience with particularly complex cases. Mr. Wallace represented clients during a month-long jury trial on a complex construction defect case involving NRG Stadium, Houston’s football stadium, handled the largest fraudulent transfer case in U.S. history, worked on a multi-billion dollar lawsuit brought in Brownsville, Texas, and represented a former United States Attorney and former Assistant United States Attorney in a complex terror-related arms case before the Fifth Circuit. Mr. Wallace also has experience with First Amendment litigation in both the federal and state courts of Texas and Nevada and complex class action matters involving the Fair Labor Standards Act and employment related litigation. Mr. Wallace has also served as general counsel to public and private entities engaged in public works. He served as General Counsel to the Harris County Sports and Convention Corporation, represented the City of Houston in a complex civil rights case involving the death of a self-proclaimed CIA agent, served as lead counsel in countless eminent domain matters adverse to the state of Texas and local governmental entities that have taken privately held land, and has provided general counsel and litigation services to major transportation entities building commuter rail and toll-ways throughout Texas. In addition to his successful legal career, Mr. Wallace is committed to public service. He has served as Chairman of the Harris County Housing Authority, and during his tenure, the Housing Authority opened two housing developments and served more than 20,000 families who lost their homes in weather-related disasters. In 2011, Mr. Wallace was the recipient of the Elizabeth B. Wells Memorial Award given by the National Association of Housing and Redevelopment Officials (NAHRO) for his service as Chairman of the Harris County Housing Authority. Mr. Wallace is only the 15th commissioner to have ever been honored with this award, which recognizes a public housing commissioner who demonstrates excellence in bridging the divide between the private sector, governmental entities, and non-profit communities. NAHRO is the leading community development advocate for the provision of adequate and affordable housing and its members include 3,175 housing authorities and more than 16,000 individual commissioners.